The Edison State Community College basketball teams will host Cedarville College JVs Wednesday after splitting games with Bryant & Stratton on Saturday. The women’s game will tip at 5:30 p.m., followed by the men’s game at 7:30 p.m. 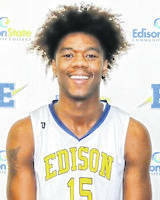 The Edison State men, 7-2, opened a 45-26 halftime lead and held off Bryant & Stratton for an 84-78 victory. Once again, Lacey Watson had a big game for the Chargers. He scored 33 points, hitting 12 of 19 shots from the floor, and added six rebounds, five assists and three steals to lead Edison in all those categories. Lamine Komara added 16 points and Dakota Prichard scored 10. Edison was 30 of 56 from the floor for 54 percent, including seven of 22 from behind the arc for 32 percent. The Chargers made 17 of 27 free throws for 63 percent. Bryant & Stratton was 30 of 69 from the floor for 44 percent, including three of 16 from long range for 19 percent and made 15 of 22 free throws for 68 percent. Edison lost the battle of the boards 41-32 and had 17 turnovers to Bryant and Stratton’s 18. 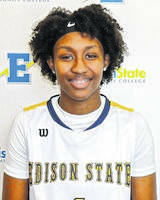 The Edison State women dropped to 6-3 with an 83-78 loss to Bryant & Stratton. The Chargers jumped out to a 25-12 first quarter lead. but led just 36-31 at halftime and trailed 62-53 after three quarters and couldn’t catch up. Kailani Broyled led the Chargers with 21 points, making seven of 14 shots from the floor an seven of 11 from the foul line. Clair Schmitmeyer had 15 points, six rebounds and six assists, while Sarah Pothast had 15 points and five rebounds. Sarah Bergman had nine points and eight rebounds, while Elysabette Andrews grabbed five rebounds off the bench. Kaylesha Broyles dished out six assists. Edison was 31 of 61 from the floor for 51 percent, including one of nine from behind the arc for 11 percent. The Lady Chargers converted 15 of 23 free throws for 65 percent. Bryant & Stratton was 29 of 65 from the floor for 45 percent, made nine of 27 3-pointers for 33 percent and made 16 of 30 free throws for 53 percent. Edison lost the battle of the boards 38-37 and 24 turnovers to Bryant & Stratton’s 19.